Palmer’s Cocoa Butter Formula Skin Therapy Oil supports Breast Cancer Arabia! Tackle skin woes head-on and support the fight against Breast Cancer by purchasing Palmer’s Cocoa Butter Formula Skin Therapy Oil, with AED1 from every purchase of the advanced, multi-purpose skin perfection product – both original and Rosehip – going to Breast Cancer Arabia™ Foundation between now and February 2015. 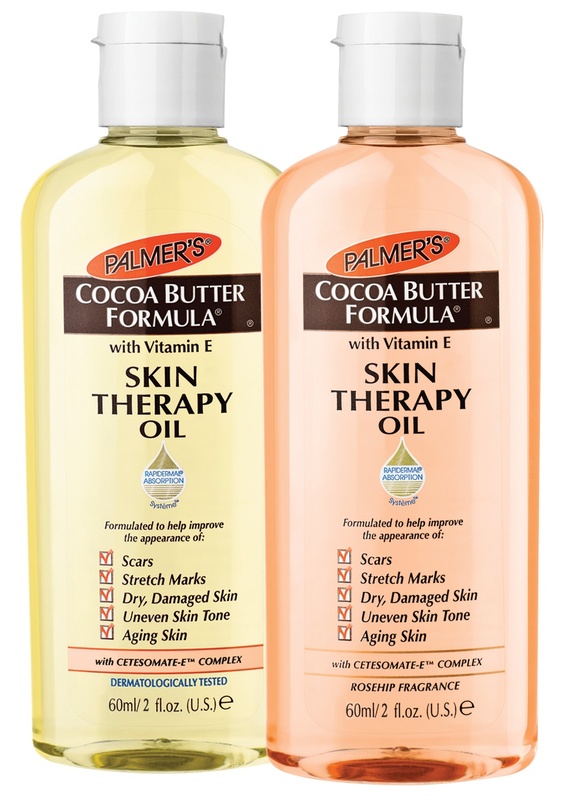 A favorite of both consumers and celebrities, Palmer’s Cocoa Butter Formula Skin Therapy Oil brand has helped women fight off the most troubling invaders, from scars and stretch marks to fine lines and wrinkles since its launch in January 2013. Joining forces with Breast Cancer Arabia™ as part of a 12-month partnership, this dynamic dry oil is now tacking the most common cancer in the UAE – breast cancer is the second leading cause of death in women and accounts for 28 percent of all female deaths in the UAE. It also has a notably high incidence and a mortality rate of 44 percent due to late diagnosis. Palmer’s Cocoa Butter Formula Skin Therapy Oil is fortified with a host of skin-loving ingredients designed to help protect skin from all types of damage. This preserve-free, lightweight formula contains an exclusive blend of key ingredients for scars, stretch marks, dry skin, uneven skin tone, fine lines and wrinkles. The secret is the unique Rapidermal Absorption Systeme® which helps ingredients penetrate the epidermal layer to deliver targeted benefits without greasiness. About E.T. Browne Drug Co., Inc. Founded more than 160 years ago as one of America’s first skin care companies, E.T. Browne Drug Co., Inc. is a leader in treatment-oriented beauty products with its trusted Palmer’s® brand. The name Palmer’s® is synonymous with high-quality natural skin and hair care product lines including Cocoa Butter Formula, Olive Butter Formula, Shea Butter Formula, Skin Success, Olive Oil Formula, No Blade and Hair Success. ← March 2014 Link Loves!